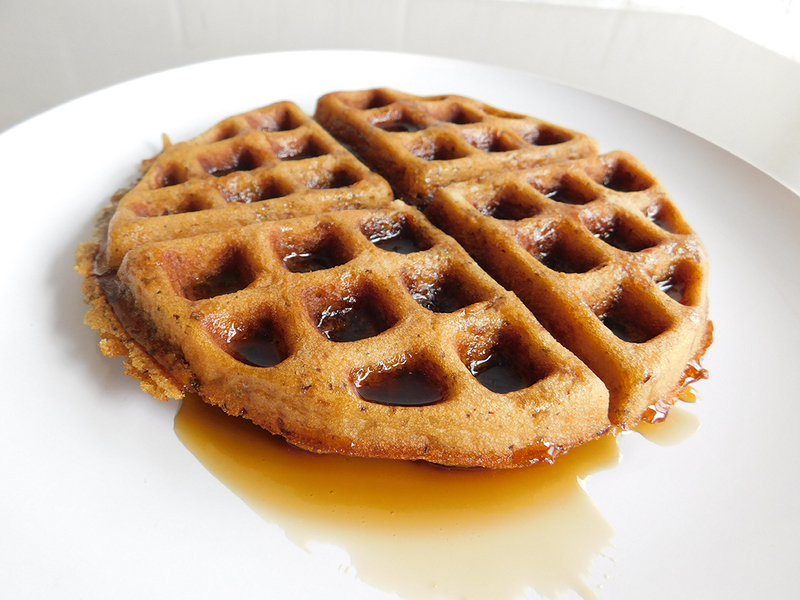 Vegan, gluten-free waffles never looked or tasted so good. Mix all ingredients in a medium-size bowl with a whisk, or spoon, until everything has been incorporated. Let the batter stand for 5 minutes. Pour batter over waffle iron griddle and cook as instructed for your waffle iron, until waffles appear golden brown.